Currently, there are about 26,000 students in Galway City between NUIG (17,000) and GMIT (9,000) during the academic year. Most of these students rent various forms of accommodation across the city including apartments, suburban houses, townhouses and purpose-built student accommodation. With student populations set to continue to increase and with great pressure already on the city housing stock, NUIG and GMIT need to facilitate the construction of more purpose-built student housing. New purpose-built student housing would free up suburban housing for families across the city especially in areas such as Newcastle, Renmore and Mervue. This would help alleviate the pressure on suburban family homes and help tackle the housing crisis in the city. The new student housing should be located as close as possible to the colleges to promote walking and cycling. For good planning reasons, the new accommodation should be medium- to high-density, as is common at other colleges. 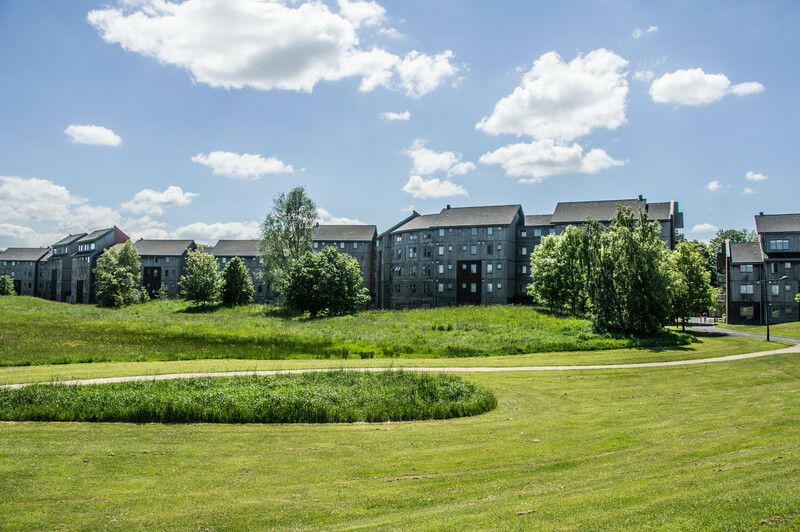 The buildings could be used for accommodation by tourists or foreign students during the summer.